An Oakland man charged with a brutal attack on a San Francisco woman during Pride Weekend last year was convicted today in San Francisco Superior Court, according to the San Francisco District Attorney’s Office. A jury found Christopher Porter-Bailey guilty of robbery, assault and battery with serious bodily injury in connection with the June 30th attack, which occurred around 1:50 a.m. near Market and Dolores streets after the Pink Saturday celebration, according to district attorney’s office spokesman Alex Bastian. 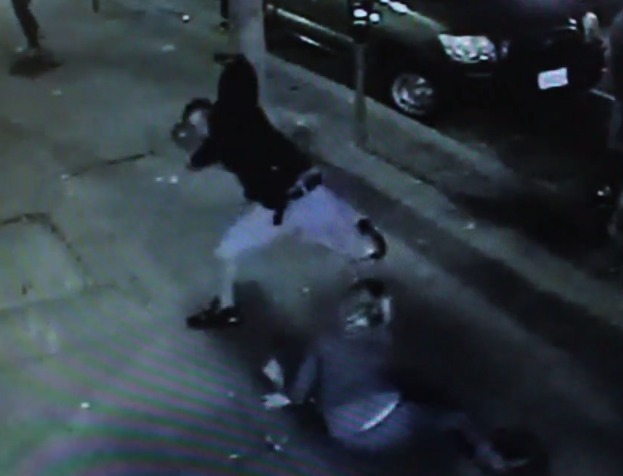 The victim, a 28-year-old San Francisco woman, was robbed of her purse by a group of suspects and was knocked to the pavement. While she was down, one suspect kicked her in the head, causing her to lose consciousness. 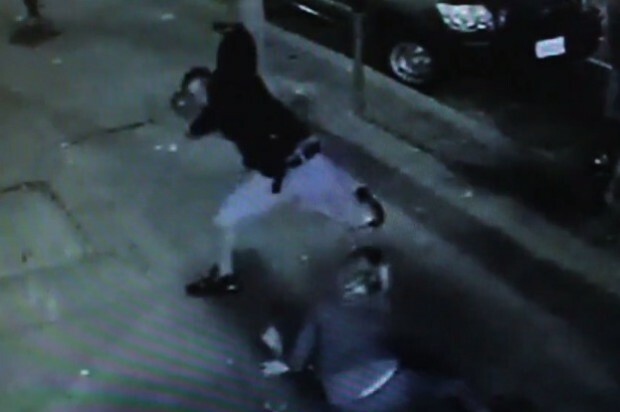 Days later, police released surveillance footage (viewable below, but be prepared, it’s brutal) of the attack, which sent the woman to the hospital. She has since been treated and released. Porter-Bailey is scheduled to return to court tomorrow for further proceedings with the judge, Bastian said. He faces a potential sentence of eight years in state prison in connection with the charges.